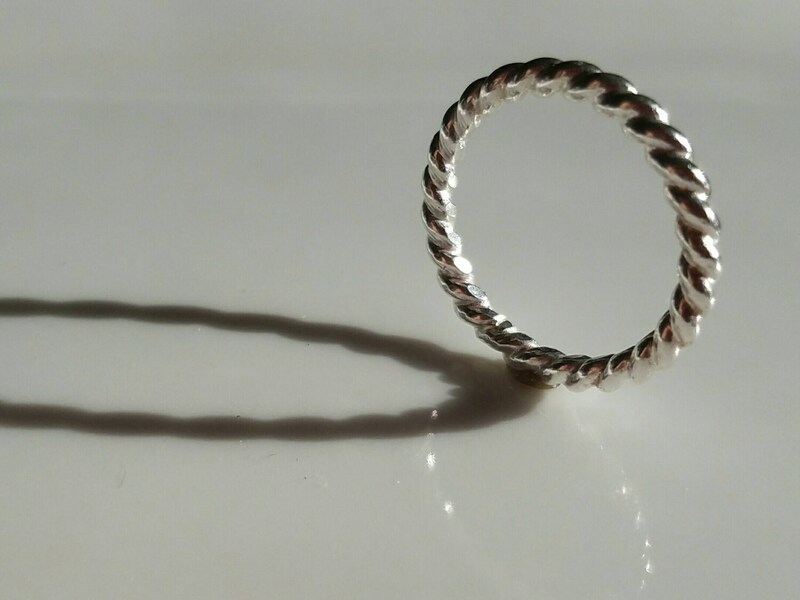 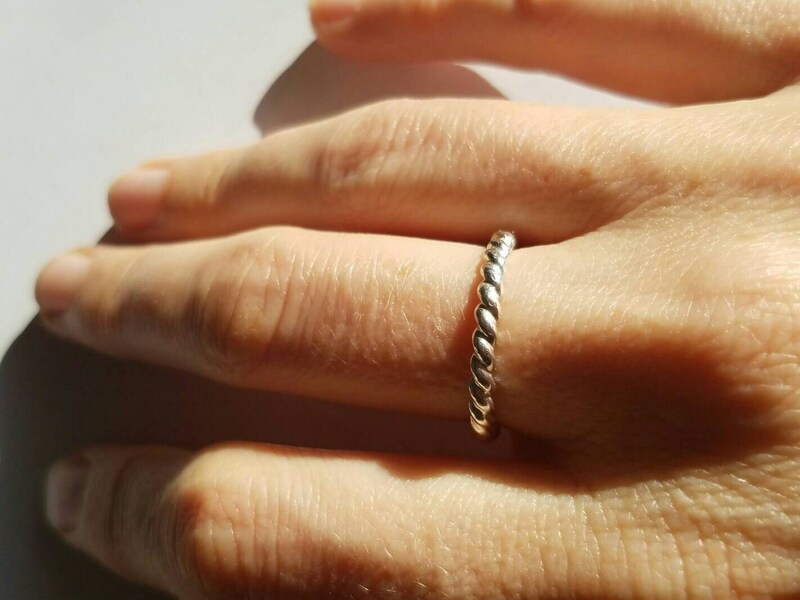 This hand forged sterling silver twisted band is 2mm wide. 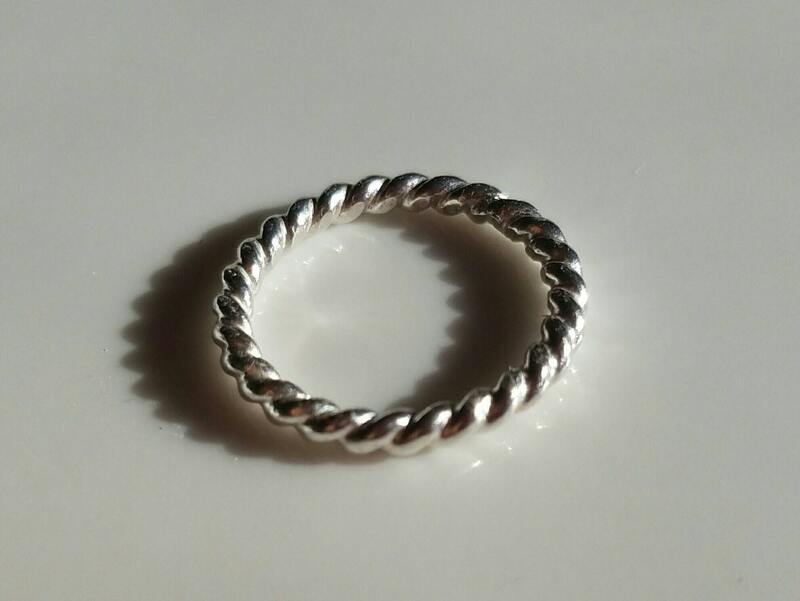 I oxidized it and polished it by hand to bring out the beautiful line of the twist. 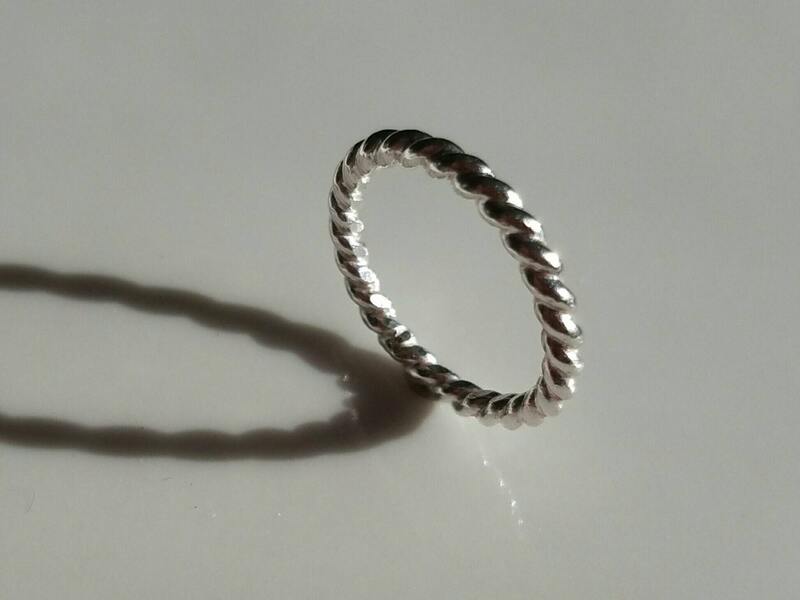 This ring loves the company of others, but is substantial enough to be worn alone.